Helping hands: Pieter Abbeel has programmed robots to learn how to perform tasks without detailed instructions. 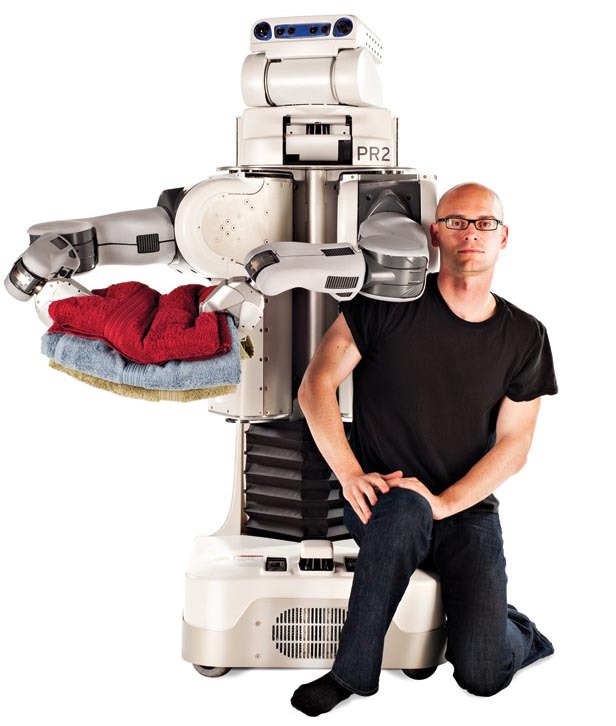 This robot can fold laundry, while others can fly model helicopters or tie sutures. How a robot learns to fold towels. See 2011 TR35 winner Pieter Abbeel present his work. Instead of programming robots to handle each step of a new job, Pieter Abbeel, an assistant professor at UC Berkeley, has created robots that can observe humans demonstrating a task and then mimic them, or learn from pictures how to handle a piece of flexible material they've never seen before. His robots have learned to perform flying acrobatics, tie surgical sutures, and neatly sort socks.